This mantel clock was commissioned by George IV and intended for display in the Banqueting Room at the Royal Pavilion. 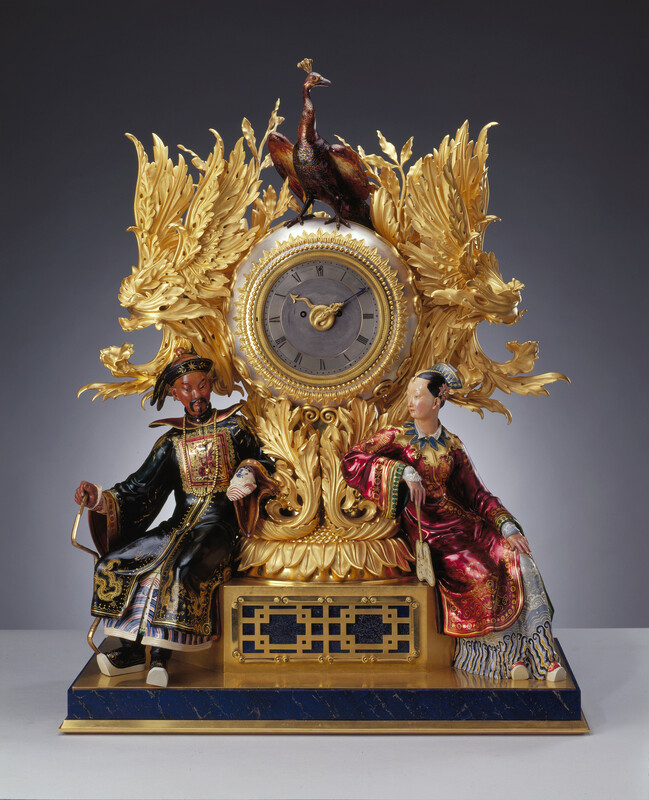 The clock is supported on either side by enamelled male and female Chinese figures and surmounted by an enamelled painted peacock. It sits on a rectangular lapis lazuli plinth with ormolu scrolls and dragons. The clock’s heavily oriental style was the result of its English maker, Benjamin Lewis Vulliamy’s response to George IV’s taste. The clock was sent to Windsor Castle by Queen Victoria following the dismantling of the Pavilion and can be seen today in the Grand Reception Room.